Everton are interested in the Belgian defender Thomas Meunier. According to Le 10 Sport (report translated by SportWitness), the Toffees are keen on bringing in a quality right back at the end of the season. 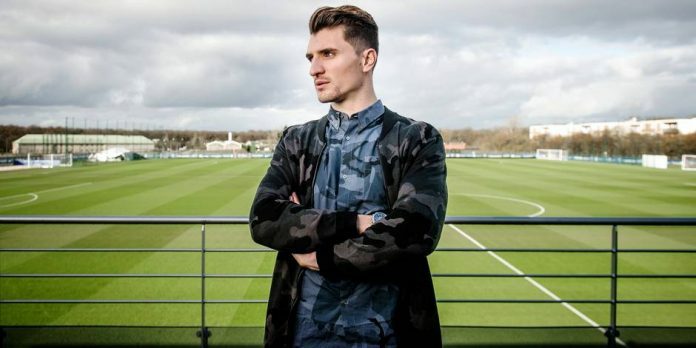 Meunier is expected to leave PSG in the summer and Everton are following his situation ‘very closely’. The 27-year-old is currently a backup for Dani Alves and therefore he is being linked with an exit at the end of the season. Meunier has proven himself at the international level with his country and he should be a good addition to the Everton defence. Seamus Coleman is well past his peak and Kenny is not ready to start regularly in the Premier League. It will be interesting to see if the Toffees make a move for the 30-cap Belgian international in the summer. Given his current situation, he is unlikely to cost a lot. The report adds that Meunier’s deal expires in 2020 and therefore PSG might just be willing to cash in on the player. Having said that, he is a reliable back up for Alves and the Brazilian is in his twilight years. PSG will need an alternative soon and therefore they could try to convince Meunier to stay with some assurances. It will be interesting to see what happens. However, there is no doubt that Silva needs to bring in a reliable right back before the start of next season.